Home Soccer Cassano: "Juve is no longer loved because of her attitudes"
Cassano: "Juve is no longer loved because of her attitudes"
The exmadridista criticizes to Allegri to leave with the reserved equipment before the SPAL. Empoli and Bologna have already shown their anger because they play permanency. The Juventus did not finish closing the scudetto and this weekend he let another opportunity pass by losing 2-1 to the SPAL. Allegri decided to put on the field a team full of substitutes to arrive with no surprises against Ajax in the return of the quarterfinals of the Champions League. This has not pleased at all some coaches who are in the war of salvation in the Series. Andreazzoli and Mihaljovic, technicians from Empoli and Bologna, criticized Allegri's maneuver because they feel injured. 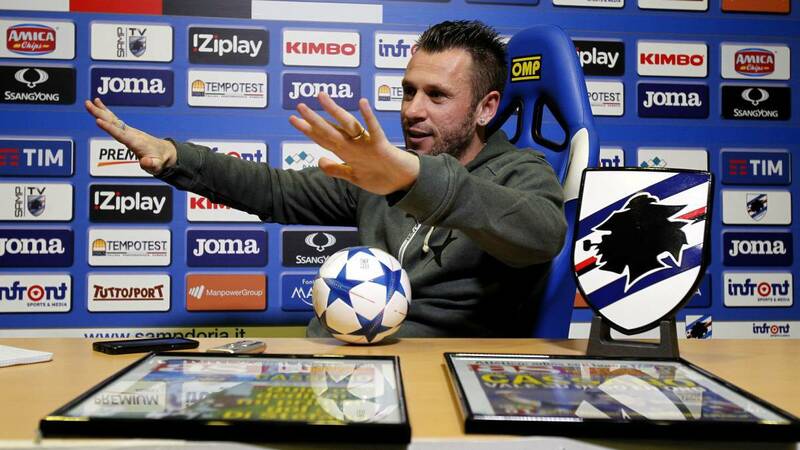 And the last to enter the list of reproaches was Antonio Cassano. "I did not like Allegri's attitude. Putting such young people on the field ... it is difficult for those teams that fight for permanence to accept this situation, that is why it is normal for Empoli and Bologna to complain. Juventus is no longer very dear, with these attitudes of course not, "said the former Real Madrid player.